Music plays an important part in the life of Eliot Chapel. Relevant collaboration makes us draw from a wide spectrum of musical styles, from classical to contemporary. 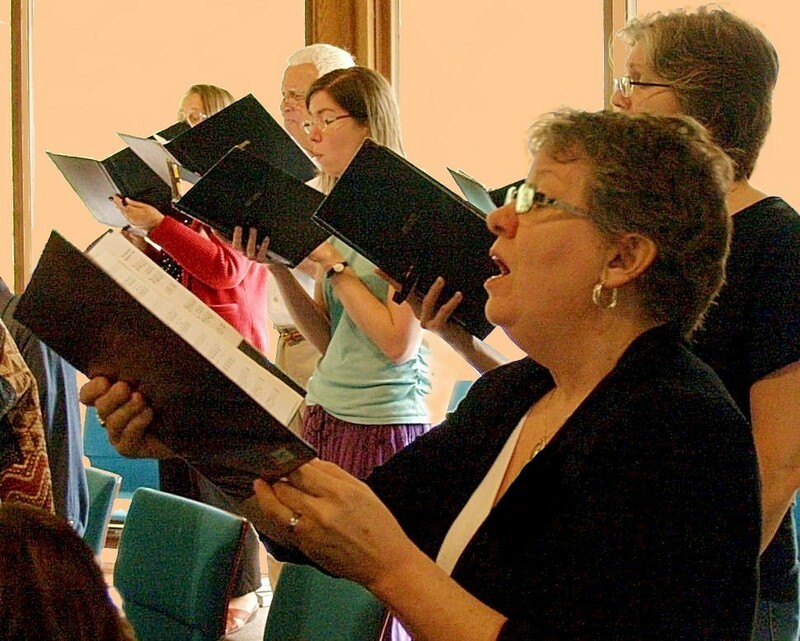 Our choir members volunteer to provide music for worship because it’s a fulfilling and meaningful way to serve the congregation, as well as to connect with others who like to sing. We have a number of groups, listed below, who sing in services. For a choir schedule or more information, please contact Music Director Jan Chamberlin at music@eliotchapel.org. All are welcome – men, women and teens. 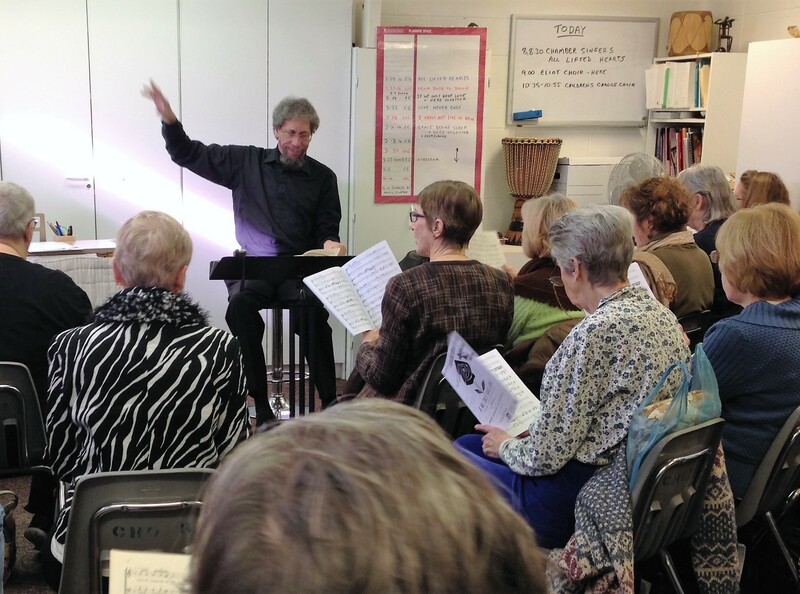 Leon Burke leads rehearsals on Sunday mornings from 9:00 to 10:30 am in the Music Room. All sopranos and altos are welcome, including teens. 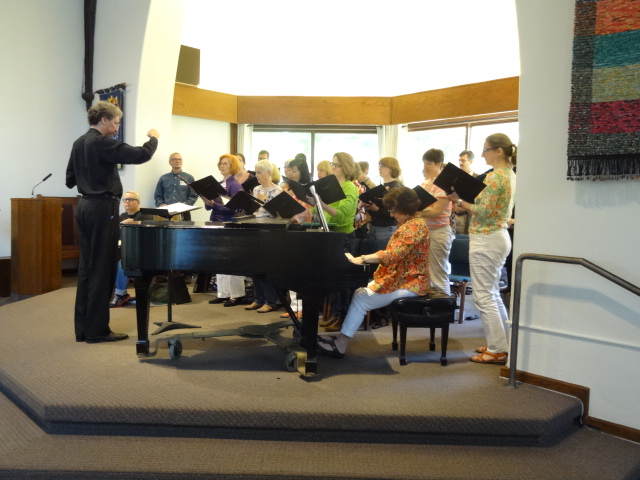 Jan Chamberlin leads rehearsals on Wednesday evenings from 7:30 to 9:00 pm in the Music Room. By invitation or audition - men, women and teens. Leon Burke leads this group. 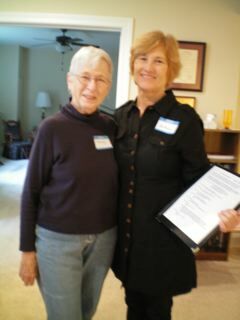 The children’s choir is open to kids in first through fifth grades and is led by Music Director Jan Chamberlin. 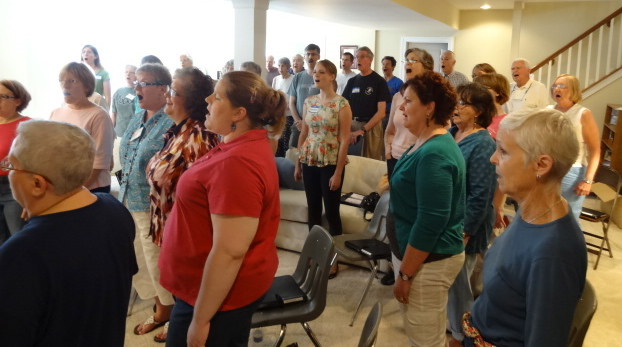 The focus is on having fun, learning musical skills and practicing UU-centered songs for worship services. 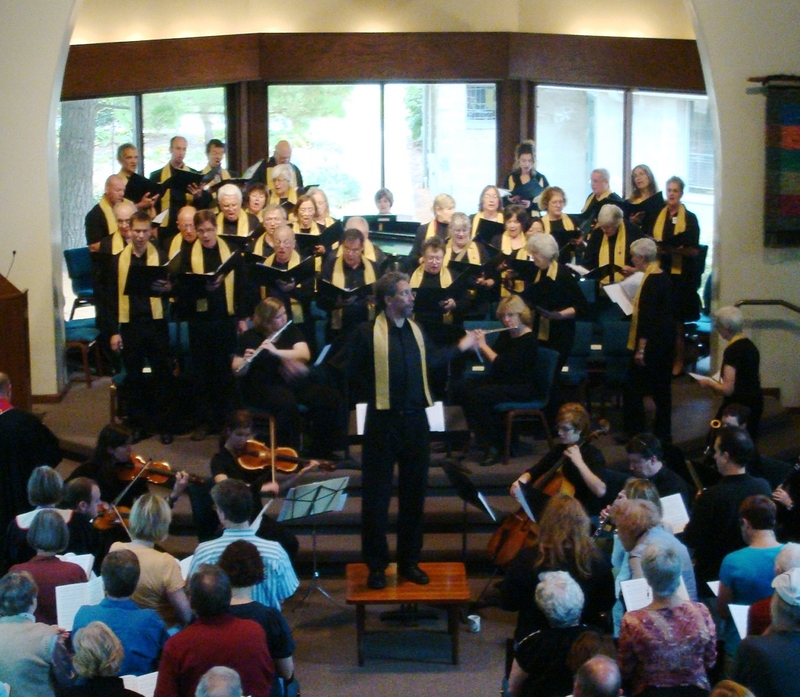 The group proudly wears their yellow Chalice Choir t-shirts as they sing in select services. 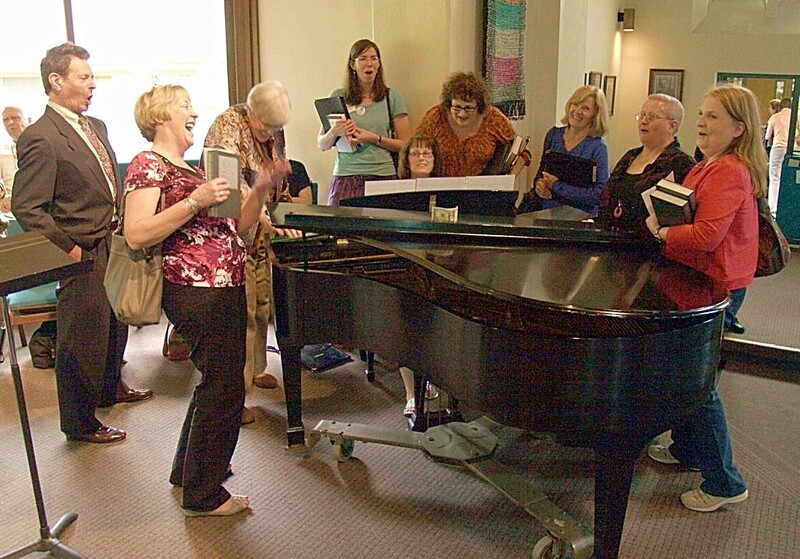 During the holidays they gather together for a pizza party and then share their voic es in song at a local retirement home. 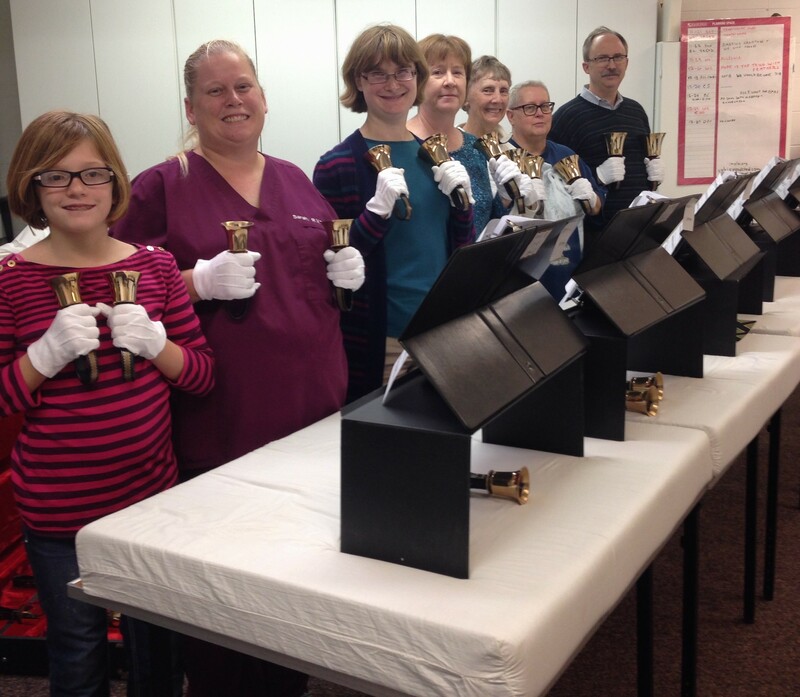 Hand bell choir. All ages and abilities are welcome to ring together in preparation for the winter holidays.